Do you think that when you make a decision that you gather all the information available to you and make an informed choice? In our increasingly busy world – with messages, marketing and social media only adding to the noise – we’re increasingly looking for shortcuts to our decision-making. We all use shortcuts in life. It’s a human thing. We want to make life easier so we use our previous experience and ‘gut’ feelings. These gut feelings are based on our life experience but also (as Cialdini discovered) six key principles of influence help our mind make everyday shortcuts while decision-making. You can use these psychological principles in your sales and marketing to make it more powerful, more effective and more profitable. You can also work out who’s trying to manipulate you, and avoid it happening. Hang on, who’s this Cialdini guy? 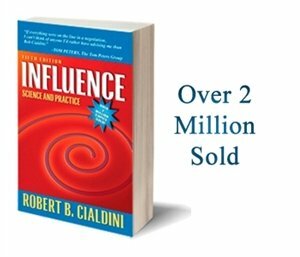 Dr Robert Cialdini is an author of the ground-breaking book ‘Influence’ which he wrote to share scientific research so businesses can use it to improve sales and relationships. Cialdini identified the six principles through experimental studies, and by involving himself in the world of what he called “compliance professionals” – salespeople, fundraisers, recruiters, advertisers, marketers, and so on. Basically, anyone whose job it is to convince and influence other people. Let’s have a quick tour of these to understand why these influence your decision-making. Reciprocation is simply giving someone something in return for them giving something to you. So if someone helps you out today on Twitter by retweeting your content or sharing your blog, then you’ll feel obliged to help them back. Reciprocation is a powerful tool used in many cultures, but as Cialdini pointed out, it’s also often used in restaurants. The waiter may give you a small gift at the end of the meal when the bill comes out and you may feel more obliged to give a tip. Think this doesn’t work? Then why do waiters the world over still do this? And why do you still give a tip even when the meal wasn’t that good? In a study conducted, giving just one mint at the end of the meal increased the value of the tip by 3%. A simple mint! Then they tested giving two mints. The tips didn’t double – they quadrupled. And if the waiter then made it more personal by having a positive interaction, the waiter got an even larger tip… a 23% increase in fact. So reciprocation is powerful. As the example above shows, you don’t need to give big to receive big. In fact, as long as you give first, you’ll benefit. Free gifts like eBooks are good to get you a list of email addresses. But make sure that the content is actually useful, and a really nice and personal gift too. Your audience or email list will then feel they owe you and that can simply be by opening your emails more often, or reading them more carefully. Sharing content online, especially on Twitter, is a good tactic. But make sure you mention the person who wrote the content when you share it. Find out who they are if it isn’t obvious. Go to the contact page or website footer and find their Twitter name or Facebook Page. When they see that you shared their content (a head nod if you like) they will feel the need to reciprocate. Following back on Twitter is a classic example of reciprocation. You follow people and they follow back. It’s the most effective way to gain more followers – it really is. Follow people that you want to follow you and maybe butter them up by sharing one of their posts when you follow them, too. Only if you think it’s good! Favourites on Twitter are also used like this. By favouriting someone’s content or tweet you’re saying that you liked it. In fact, many tools now auto-favourite content and tweets to help with this tactic. I’m not suggesting you do this as it is a bit spammy, but it does get me looking at more accounts than I usually would. Can you use genuine favourites to make people notice you? Guest blogging is a free gift. Why not offer to guest post on a website, or maybe even invite someone to guest post on your site? What you really want is a link from their site to yours so it would make sense to give them a link to their site from yours first. Ask people who you want to guest post for to guest blog on your site first. Takeaway: Give first, and make it personal to the person you’re giving to. Simply put: we all want what we can’t have! And that includes special once-only offers that are genuinely (not every time) on offer and limited to a certain amount or time period. We all fall for the last days of the sale “Everything must go” sell and of course the classic “book now – we’re never running this offer again” tactic. Tell your audience the benefits of the product or service to them. Tell them what’s unique and why they need to choose you. Tell them what they stand to lose if they don’t sign up or buy right now. Remember Concorde? The day after they announced it was no longer going to be flying, the bookings went sky high! Nothing had changed about the flight or the plane but it became scarce and people wanted it. It was expensive and it did the job of other planes (albeit faster) but it became something people might not be able to have and they wanted it more than before… even if they didn’t need or want it before. One great way to do this is by making something limited from the start. Run a webinar with a limited number of places. Hold a workshop with only space for 20 delegates. Have special offers with a date clearly showing when they end. Give away an eBook that’s only available for download for a week. Be careful with this tactic though. Time and time again I see businesses use the scarcity tool too much and blatantly lie about the offer or don’t follow it up. When you have only a few places left on your training day then yes, shout about it… but don’t be still shouting about it in two weeks’ time as it won’t look genuine or popular (another influence we’ll get to shortly). Make your product or service scarce but don’t forget to tell your readers about the value, the benefits, how it’s unique, and what they stand to lose if they don’t sign up or buy now. Takeaway: People want what they can’t have. Add a deadline or limited number to your content/offers/products. We trust those who have or show authority. We make decisions based on the authority of another person and this can be as simple as them wearing a uniform. You will give change to a complete stranger for a broken parking metre if they’re wearing a uniform. You’ll trust someone in a high-vis jacket. You’ll also respect someone more if they have a diploma on their wall or an award on their website. The thing with this is, shouting about how wonderful you are at something doesn’t work. People don’t trust your own opinion of yourself as much as they do other people’s opinions. Interestingly, we don’t even need to know, like or trust the person recommending someone else to be influenced by them. So you can have a band of fans and followers who respect you, telling strangers how brilliant you are, and it still works! One interesting part of this is it doesn’t even matter if the person who recommends you to others actually benefits from the recommendation. You could quite easily have someone who works for you recommending you to others, and the power of persuasion will still work! Obviously this needs to be a powerful persuasion and mention any awards or credentials, but it works. Blogging is great way to show your authority. Building a solid blog with great content and advice shows you know what you’re doing. The authority influence works when others share your blog and tell others how great it was. Of course this doesn’t matter if the person sharing the blog works for or with you and directly benefits from it. So if Jo shares this blog she is saying to others that it’s good enough to share, and hopefully people will respect that and read it, and my authority will grow a little more. If you’re a blogger then try to get on a list of top 500 or go for an award for blogging. By having some bling on your website it will show people that you’re serious about your content and that other people have said so too. We’re member of the Pro Copywriters’ Network and we have that badge on our website. It shows we’re serious about copywriting to people who need some copy to be written. Think about key influencers in your industry and look at their blog. You can bet they have a strong following on there, and that they also have a large number of comments on their posts too. Twitter can really help build your authority. If you gain a large following you’ll instantly look more authoritative. No, numbers on Twitter don’t mean anything if the followers don’t care about you, but it can make you look like an authority. Most of the key influencers in your industry will have a strong and large following and this helps us decide to trust them. On your Twitter bio it’s also a good idea to mention any awards that you’ve won, or important and recognised society memberships, professional qualifications, etc. This will also increase your credibility. When people recommend you on Twitter to others this will also boost your authority, and don’t forget these people can recommend you to people they don’t really know as it will still work to influence the decision. Getting people to trust you on Twitter should be a key target as these people will help build your authority. On Facebook a high number of followers is important to show your authority, but to get this you need to produce great content and probably advertise too. Run competitions and engage users to boost your following. A Page with more likes looks more authoritative, but DON’T BUY LIKES as this devalues your Page and won’t help you in the long-run! Takeaway: We trust people in authority so show others that you’re an authority in your field. Get awards and badges – and encourage others to tell others about you. We like to be consistent in our buying. We will buy from others if we’ve bought from them before, but obviously sellers can’t just leap in with their biggest, most expensive product. One study showed that a group of people were willing to display a large unsightly sign on their front lawn more another group of people were. In fact, the difference was over 400%! These people had already displayed a very small window sticker with a consistent message in. The others had been asked outright to display the sign. Because the group had displayed a window sticker they felt obliged to continue with the process as they had already publically displayed their support for it. People are more likely to continue this process if they write it down, too. One great example was a doctor’s surgery where the cancellations were decreased by 18% by simply asking patients to write their own appointments down in the book. Because they showed publically that they were committed with their own writing, they were less were likely to cancel. It’s a good idea to start small. Get people on your sales ladder with a simple purchase or commitment, and then build up to the big ones. Don’t expect them to buy your main product without first trialling you on something small and inexpensive. Then sell them your big product or service. The process online can work from a simple retweet to a follow and then a Like on their Facebook Page. 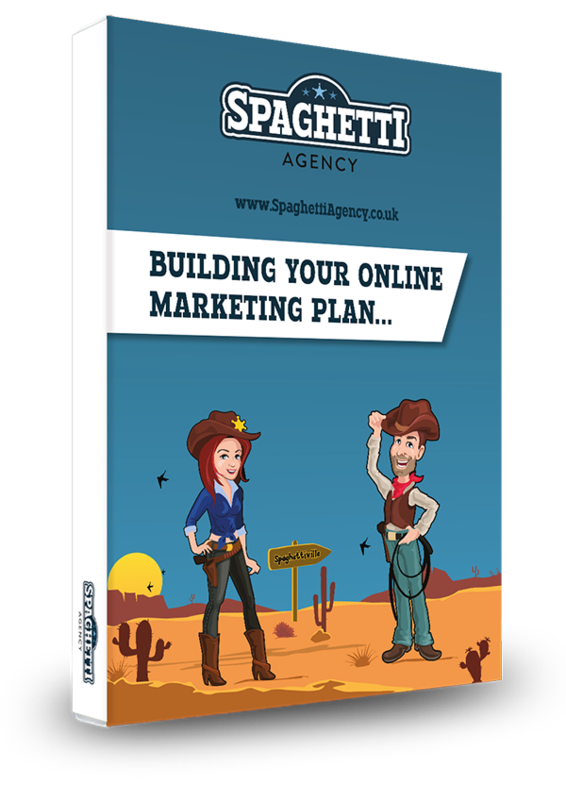 Build some blogs into the mix, and get them to sign up to your free eBook from your blog. Then you have their email address and you can contact them. Build the relationship and then try to sell something small. Keep the process all consistent and make sure that your funnel or ladder makes sense to your audience. As the saying goes, it’s far easier to sell to your existing customer base than to cold leads. Make the entry level for your sales ladder very simple and inexpensive and you’ll be doing well. Takeaway: Start small with your sales ladder or funnel. Give something small away and then charge for something slightly bigger and progress. Keep it all consistent so people feel trust and consistent. How this works is really simple. Before you do business with someone it’s best to build a relationship and find some common ground. Small talk is great for this. Build in some complimenting (only genuine though!) and find something you both have in common and you’re already two thirds of the way to liking. Of course the mutual goal in point three should be their success in business. Show them how you can help them be successful and you’re on to a winner. How can you make people like you with digital marketing? SOCIAL media. Time and time again I tell people that it’s ok to share your breakfast on social media (it is). Why? Because it’s a great common ground that makes us similar to other people. I’ve just shared a bottle of water on my desk on Twitter. I said I’m trying to drink 2 litres of water a day and people instantly tweeted me back. It’s not about marketing or my digital marketing workshop, but it’s something I have in common with other people who are trying to be more healthy. It keeps people connected with me, Todd, a person. This then helps them to know me, like me, and trust me. It’s a small start but it really does work. You can do this on many digital channels too. Facebook and Google+ will work in a similar way. By sharing something simple and everyday that many people will connect with (even if it’s not related to your business) you will gain people who are similar. On LinkedIn you can share a blog or publish an article about an event that you went to and give your opinions on it. Other people who went to the event will feel similar to you and will read it. You have a chance to build a relationship with these people based on that similarity. Paying people compliments on social media is clearly very simple. Share a blog post, add a compliment about it and mention the author on social media. Add their Twitter or Google+ handle or tag their page. Comment on a post or article and thank the author. Often when you do that your comment will have a link to you and your website. Endorse someone on LinkedIn. They will be informed and they might even endorse you back. Of course this then adds authority and makes for a more credible LinkedIn profile. Make your comments or endorsements genuine though! +1, Like, favourite, RT or like on LinkedIn to add some compliments to people you want to work with or want as a brand advocate. Comment on a YouTube video and tell the creator that you enjoyed their content. Now of course when you comment on YouTube it will post as your Google+ profile and this will give them the option to check you out on there too. Write a blog about someone. I did this about a great book I read and also about a great event I went to. Guess what? Those people RTed my content and also mentioned me in their book and offered to have me talk at their event in the future. Takeaways: Find common ground on social media and use small talk to network. Compliment others (again, only if you mean it) and help others get to their goals with a mutual interest in their success. We all look to others to decide how we should act. Think about a fire alarm. It goes off in a building. What’s the first thing you do? Is it exit the building as it might be on fire? No. We look around to see if anyone else is leaving! We need to feel that we’re doing the same thing that others are. One great example from the study was reusing towels in a hotel. The study showed that when they asked people to reuse them then they did… but not always. When they put a card in the room telling them what percentage of people typically reused their towels, the towel recycling increased by 26%. This works because we’re showing others what other people in their position have done – especially if they’re similar! Social proof is a very useful tool in marketing. Showing people what others think about you is an important part of your marketing. Have testimonials on your website. No one will believe you but they will believe others, and even complete strangers, remember? Get people you work with to write recommendations for your LinkedIn. Because they have to upload them they’re completely cheat-proof and therefore more credible. Record video testimonials. After a workshop we like to get video testimonials from our attendees. That’s the point that our delegates are most likely to say something great about our training and to do it on camera is so powerful and real. We also ask for anonymous feedback at the end of the workshop on paper too. Not only are the comments great bite-size testimonials, but having people physically write down their comments makes them more likely to stand up for those comments in future. On Facebook you can ask for shares and it works. Post an update, and ask people to share it if they think it would help any of their friends. When your post is shared, not only do more people see it, but their friends will value the post more, as it as comes from someone that they trust. This also works if you ask people to ‘tag a friend who would like this’. Whenever you’re doing what you do – share it! I often post a selfie when I’m training. It puts me in front of my clients and shows others on Instagram, Twitter and Facebook that people are working with me. We all need to look to others to see what they’re doing. If they’re doing it with you then share it! That’s a whole lot of information there and it may take you a second read to soak it all in. Definitely do that as the science behind the powers of influence is real and it works. Dr Robert Cialdini is a well-respected author and president of IAW. His book Influence: The Psychology of Persuasion is a best-seller and well worth a read. 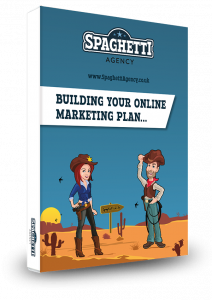 Start adding some science into your digital marketing and learn what makes people tick but more importantly – buy! If you enjoyed this post then please do me favour and share it? It really helps me meet more people and write more content that helps you. A very good article. I will investigate this Dr Cialdini to learn more about his findings. It’s a great book, John. You can borrow it if you like? Geraldine. You quote retweeted and added a nice comment. That gets you a whole pack of mints!